Thirty Six men in Israel died in a battle they should have won - God was getting their attention. Achan had stolen something - his sin affected others. 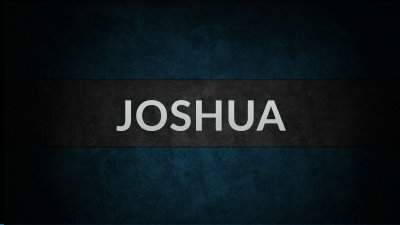 God didn't tell Joshua who did what - He simply said that there was sin in the camp. Joshua had to search it out! Slowly but surely Joshua searched until he discovered the root of the sin. The sin didn't present itself immediately until he searched it out. During this time Achan could have repented. Often times people only confess when caught. Sin may be unconscious at first, but listen for God's voice and look for His hand - He may be trying to get your attention. When He does, be diligent to search it out!